Sent an update to Kickstarter backers earlier this week about sending out M.b stickers. It has been fun to pick stamps. 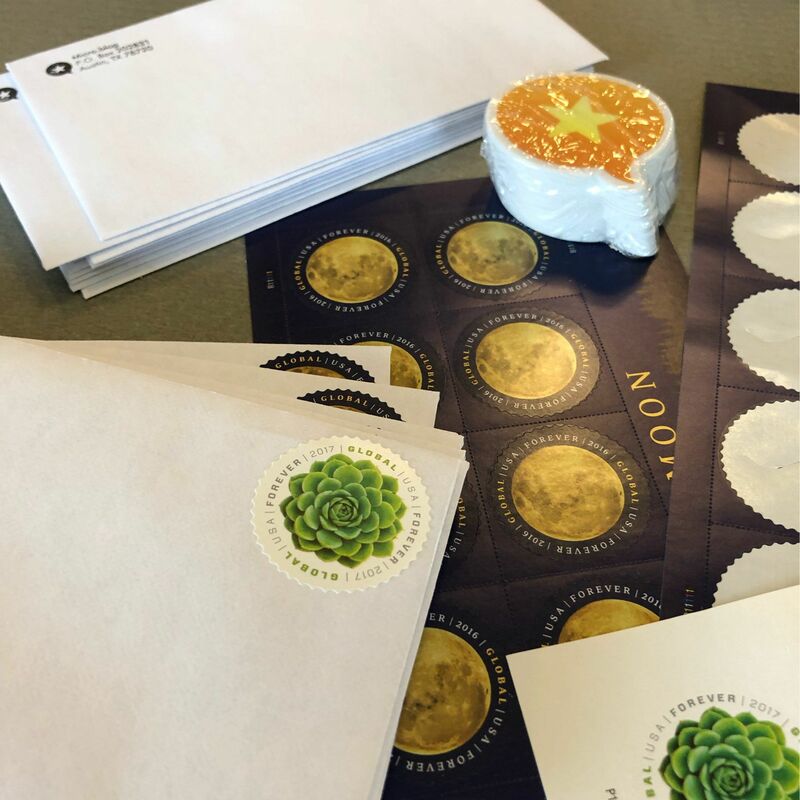 This photo when @macgenie and I were preparing envelopes last week shows a couple of the international stamps.